After a five-year hiatus, it appears the ferry service will resume in May, although time is short for preparations. 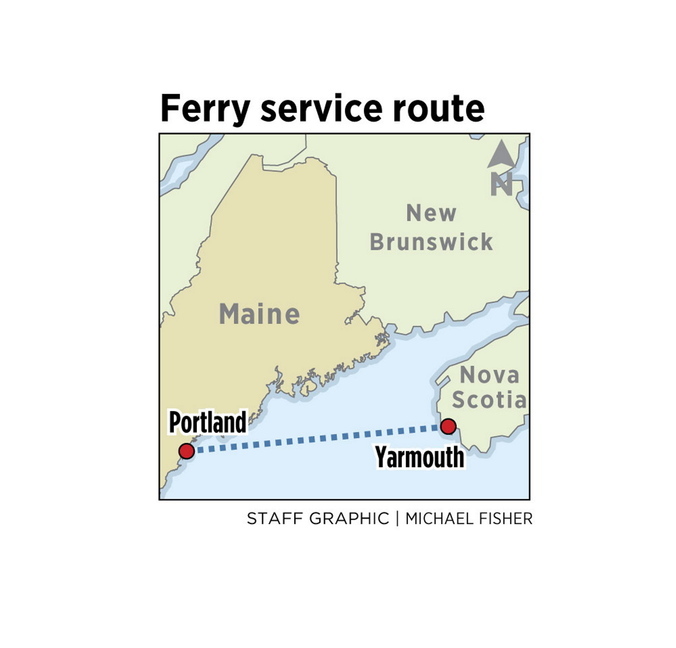 Ferry service between Portland and Yarmouth, Nova Scotia, is expected to resume in May after a hiatus of nearly five years, now that Nova Scotia’s government has reached a final agreement with the Maine company it has chosen to run the ferry. The agreement announced Tuesday means the province will soon begin releasing $10.5 million to pay startup costs for the operation. 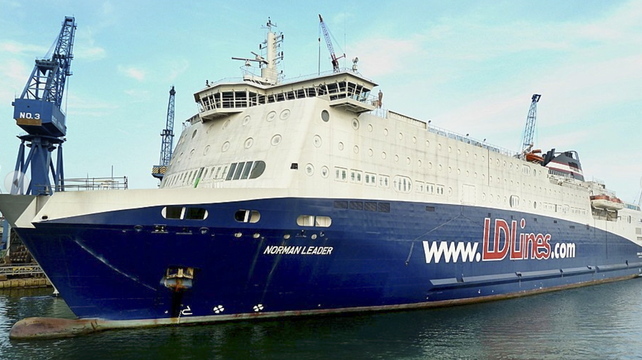 NEW FERRY: The 531-foot Nova Star will travel between Maine, Nova Scotia. It will be the first ferry link between Nova Scotia and the United States since 2009, when the high-speed Cat stopped running. It is seen as critical for the battered economy of southwest Nova Scotia because it will restore a direct link to the huge U.S. tourism market. It also is seen as an economic boost for Portland, where ferry passengers are expected to generate business for the city’s restaurants, hotels and downtown retailers. Gerard Kiladjian, general manager of the Portland Harbor Hotel, said the service will bring visitors to help fill the 630 rooms that will open next year in new and renovated hotels in the city. The ferry, to be called the Nova Star, will arrive from Yarmouth and leave Portland every evening from May to October. It will be similar to the Scotia Prince, which operated between Portland and Yarmouth from 1982 to 2004 and carried as many as 150,000 passengers a year at its peak, in the late 1990s. The ferry will be operated by STM Quest, a joint-venture company that consists of Quest Navigation Inc., based in the York County town of Eliot, and ST Marine Ltd. of Singapore. Steve Durrell, chief operating officer of STM Quest, said the company is “extremely confident” that it can be ready to begin service May 1. He said the company will open an office on Commercial Street soon. STM Quest estimates that 100,000 passengers will ride the ferry each year. The company, which will operate as Nova Star Cruises, has yet to establish fares, and won’t start selling tickets until January. David Oxner, the province’s lead negotiator on the deal, said the province will begin making a series of monthly payments to STM Quest, with the first payment coming within the next week. He said the province must finalize some administrative details, such as obtaining the original letter of offer, which ST Marine signed in Singapore on Monday. The company plans to use a ferry that was built in Singapore. The vessel, which has never been put into service, has 162 cabins, three restaurants and capacity for 1,215 passengers. At 531 feet, it’s 59 feet longer than the Scotia Prince, which carried as many as 1,120 passengers. Durrell said the company is installing a theater-conference center, a casino and new seats on the ship. It will cost more than $1 million for fuel to move the ferry from Singapore to the Gulf of Maine, said Mark Amundsen of Eliot, president of STM Quest. He said he expects the vessel will arrive in Portland in April for inspections by the Coast Guard. Like the Scotia Prince, the Nova Star will be a traditional ferry that will make the crossing in about nine to 10 hours. The Cat, a high-speed catamaran, made the crossing in about half that time. The Nova Star will leave Yarmouth at 9 a.m. each day and arrive in Portland at 5 p.m. It will then leave Portland at 8 p.m., arriving back in Yarmouth at 7 a.m. the next day. The vessel went through sea trials in 2010 and was scheduled to go into service that year, crossing the English Channel for a company called LD Lines. But the company terminated its contract in 2011, and the ship never was put into service. Oxner said STM Quest has proven that the ship can turn around in Yarmouth Harbour and has provided the province with an acceptable marketing plan. n Finalizing the terms of a $5 million line of credit from the state of Maine, which Gov. Paul LePage said the state would assist in providing in a letter to the province dated July 23.
n Getting an approved vessel inspection from the Coast Guard. n Resolving all border control issues with agencies in Canada and the U.S. Updates on the company’s plans will be available at http://www.novastarcruises.com and on Twitter at @NovaStarCruises. The ferry terminal in Yarmouth is dilapidated and needs a lot of work. Keith Condon of the Nova Scotia International Ferry Partnership said officials plan to fix the terminal for the short term and then replace it. He said he learned Tuesday that the Canadian government has given approval for a $2.6 million project, and that Yarmouth officials and the business community have adopted an “all-hands-on-deck” approach to getting the terminal ready for next spring. “We are moving fast here,” he said. Besides the $10.5 million in startup costs, the province has pledged $1.5 million annually over seven years to market the service. The total $21 million subsidy comes in the form of a forgivable loan, which means STM Quest won’t have to pay the money back if it meets its terms for the deal and continues to operate the ferry. In the eighth year of service, the company would be obligated to invest $3 million if it’s needed to sustain the service. George Handel, 72, who lives in Florida and has a summer home in southwest Nova Scotia, said he’s excited to see the ferry service resume because it will save him 365 miles of driving each way between Portland and Shelburne. Still, with May 1 less than six months away, he is worried that STM Quest will run into unexpected obstacles. “Anything can still go wrong,” he said.